LOS ANGELES, Calif., Feb. 19, 2019 (SEND2PRESS NEWSWIRE) -- Canadians are finding it difficult to land medical residencies in Canada and that's leaving their career in limbo. But there are solutions and working with Residents Medical, an education, preparatory, consulting, and placement organization, is an effective one. RED DEER, Alberta, Jan. 22, 2019 (SEND2PRESS NEWSWIRE) -- Anow, the appraisal firm management software developer that simplifies the way real estate appraisers manage their businesses, today announced a partnership that makes its powerful appraisal technology platform available to members of the Business Association of Real Estate Appraisers (BAREA). RED DEER, Alberta, Jan. 15, 2019 (SEND2PRESS NEWSWIRE) -- Digital appraisal management software developer Anow reported a record 110 percent year-over-year increase in appraisal orders processed through its core appraisal office management platform in 2018 despite an industry-wide, market-driven drop in orders per customer. The announcement follows a year punctuated by major product launches and enhancements as the growing firm continues to lead the appraisal industry in innovation. RED DEER, Alberta and PRAIRIE VILLAGE, Kan., Dec. 5, 2018 (SEND2PRESS NEWSWIRE) -- Nations Valuation Services (NVS), the appraisal services division of the Nations Companies, today announced the integration of appraisal management software from Anow with NVS' proprietary management system, AppraisalTRAX. LOS ANGELES, Calif., Dec. 3, 2018 (SEND2PRESS NEWSWIRE) -- Canadian medical students and graduates are facing limitations and challenges when it comes to finding credible medical residencies. Residents Medical is offering solutions. TORONTO, Ontario, July 10, 2018 (SEND2PRESS NEWSWIRE) -- TeamSnap and The Coaches Site have confirmed an all-star lineup of NHL coaches presenting at the TeamSnap Hockey Coaches Conference taking place on July 20 and 21 in Toronto. TORONTO, Canada, May 3, 2018 (SEND2PRESS NEWSWIRE) -- RoweBots, an embedded systems company, announces Unison 5.5.0 RTOS for STMicroelectronics' STM32 microcontroller (MCU) family and System Workbench IDE 2.3 at the ST Technology Tour stop in Schaumburg, Illinois. Software compatibility between Unison 5.5.0 and the STM32 and System Workbench IDE 2.3 is aimed at supporting and streamlining the work of programmers and developers working within Unison 5.5.0 to support wearable or IoT enabled devices, where power consumption and time to market are critical. VANCOUVER, B.C., Canada, April 9, 2018 (SEND2PRESS NEWSWIRE) -- Recently, Wondershare has released Recoverit Free, which can recover data of up to 100 MB for free. Recoverit by Wondershare is a popular free data recovery software that works on both Windows and Mac. It can recover lost and deleted content from a system or even an external storage unit in an extensive manner. DUSSELDORF, Germany, Nov. 9, 2017 (SEND2PRESS NEWSWIRE) -- Today at Medica, the world's largest medical event, RoweBots, an embedded software company, announces the immediate availability of Unison MedicalOS, a real-time operating system (RTOS) for medical applications and wearable devices. TORONTO, Ontario, Oct. 5, 2017 (SEND2PRESS NEWSWIRE) -- Today, RoweBots, an embedded systems software company, announces new Modbus communication protocol interface capabilities with its Unison RTOS, a real-time operating system that offers a complete component set for the development of IoT and M2M Communication Embedded Applications. VANCOUVER, B.C., Canada, June 26, 2017 (SEND2PRESS NEWSWIRE) -- MiniTool Solution Ltd. today announced the release of MiniTool ShadowMaker Beta 2.0 - a brand new yet professional data protection solution. MiniTool ShadowMaker Beta 2.0 is an all-in-one disk partition backup and disaster recovery solution for PCs. TORONTO, Ontario, Canada, May 15, 2017 (SEND2PRESS NEWSWIRE) -- RoweBots, an embedded signal processing systems company specializing in wearables and IoT, today announces support for Microsoft Azure on its Unison RTOS product, a real-time operating system that offers a complete component set for the development of IoT and M2M Communication Embedded Applications. The Azure cloud computing service lets developers build, deploy and manage applications and services through a global network of Microsoft-managed data centers. WATERLOO, Ontario, Canada, Sept. 21, 2016 (SEND2PRESS NEWSWIRE) -- Today, RoweBots Ltd announced the availability of its Unison RTOS for Renesas Electronics' RZ/A Series of microprocessors (MPUs). Designers working with the Renesas Starter Kit+ for RZ/A1H, the Renesas High Resolution Embedded GUI Solution Kit for RZ/A1H YLCDRZA1H evaluation board, or customized RZ/A1 hardware running the Unison RTOS can take advantage of off-the-shelf "Instant On" or near zero boot time with an embedded Linux-compatible applications programming interface (API). 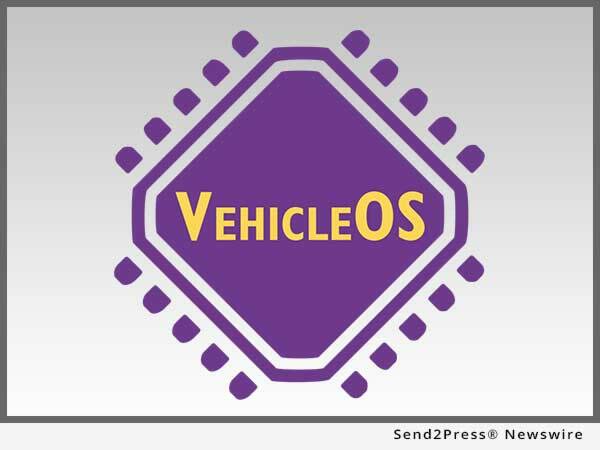 WATERLOO, Canada, June 6, 2016 (SEND2PRESS NEWSWIRE) -- RoweBots, a leading supplier of RTOS solutions for wearables and IoT devices, announces the immediate availability of VehicleOS, an RTOS specifically for connected vehicle applications. VehicleOS is focused on delivering the precise set of features that automobile, truck, trailer and other vehicle OEM developers need to make development faster, simpler and lower cost. WATERLOO, Canada, June 6, 2016 (SEND2PRESS NEWSWIRE) -- RoweBots, a leading supplier of RTOS solutions for wearables and Internet of Things devices, announces WearableOS, a special variant of the Unison(TM) RTOS. WearableOS is focused on delivering the precise set of features that wearable OEM developers need. Wearables have unique requirements that are not found in many embedded devices and as a result most RTOS solutions don't deliver what is needed in terms of power management, wearable focused processor, peripheral and wireless circuits supported, and wireless architectural variants. WATERLOO, Canada, June 6, 2016 (SEND2PRESS NEWSWIRE) -- RoweBots Limited, a leading supplier of tiny, embedded, Linux-compatible real-time operating system (RTOS) products, today announced, for the first time, the availability of its Unison(TM) OS software components for NXP I.MX. These components provide out of the box support for embedded applications with deterministic response and tiny memory footprints.